Shmee Takes A Trip To La La Land! A musical about people trying to make it big in show business is not a new idea, but one more grounded in reality, showing how hard it can be, is. Live action musicals are a rarity these days. 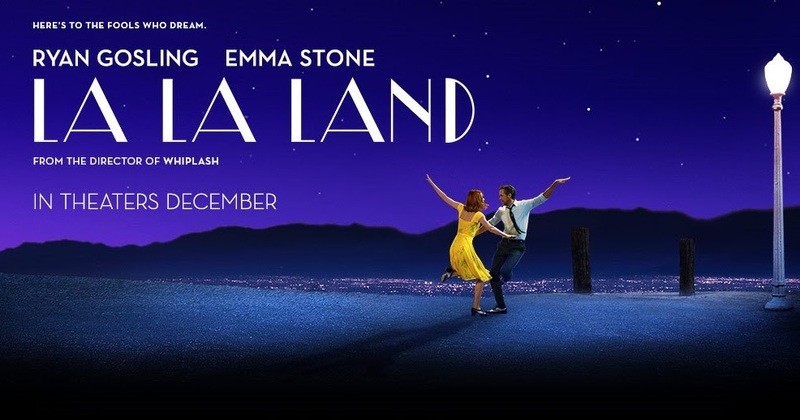 We get one a year, if we are lucky, to go with the random western to keep their respective genres alive, and much like modern westerns, musicals only succeed if they find new ground to cover, so it was smart of Damien Chazelle to put a fresh twist on the ‘making it big’ theme for La La Land. Mia (Emma Stone) and Sebastian (Ryan Gosling) keep running in to each other as they chase their dreams around Los Angeles. Mia wants to be an actress but keeps getting turned down at auditions, and Sebastian wants to open a Jazz club but is struggling to find people who are even interested in Jazz let alone want to open a club with him. While they don’t hit it off at first, they soon end up in whirlwind romance. It is easy to be slightly ambivalent to the plight of attractive people in L.A., but the story is engaging, and the music is good. The fact that neither of the leads are singers or dancers helps this movie keep its more grounded feel. You will want them to succeed in the end, and not just professionally, but personally as well. Gosling and Stone are what make this film. Their performances keep this film going. They play it just right. They are never too defeated, and they are never too overly optimistic. They are determined people going about their work and falling in love. The music is wonderful. Much like Jazz, the film does a good job of changing the theme song City of Stars every time you hear it to fit the mood of the scene it is in, and all the other songs are very good too. Without good music it is hard to have a good musical, so the song writing department definitely held up their end of the production. La La Land is a good movie, and in an era that is starved for good musicals, that is enough to make it successful and easy to recommend. I don’t know if it would be my pick for the Best Picture Oscar, but still worth seeing. Between La La Land and Whiplash, Damien Chazelle is making quite the name for himself. Previous PostPrevious Shmee Checks Out Capter 2 Of John Wick! Next PostNext I Finished Trollhunters, And It Does Get Better!